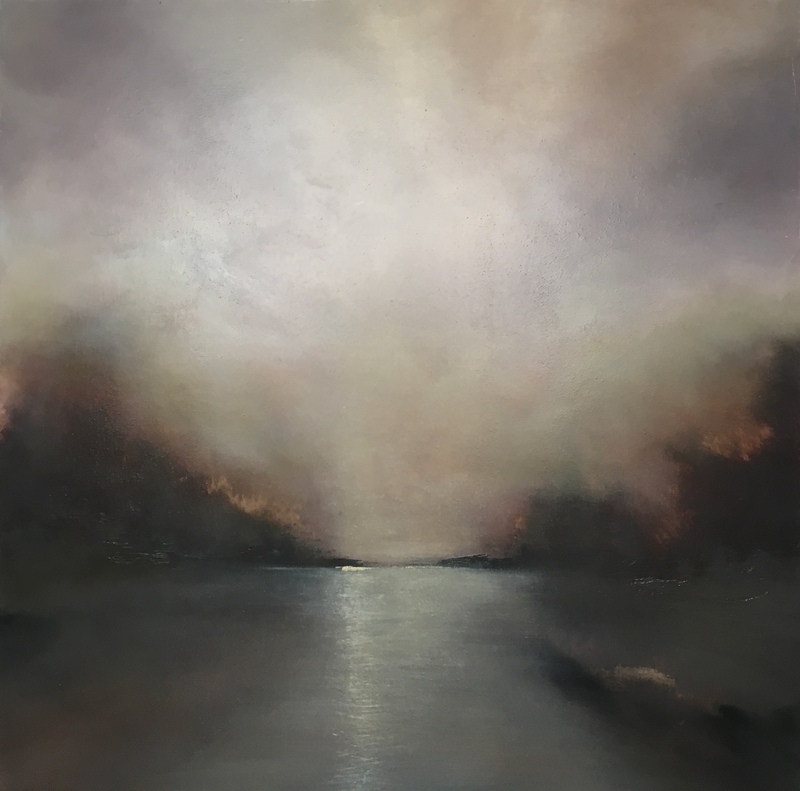 Julie Ellis started out on her art career as a painter at Plymouth college of Art After completing a BA Hons in Painting, Drawing and Printmaking where she graduated with a First class degree. 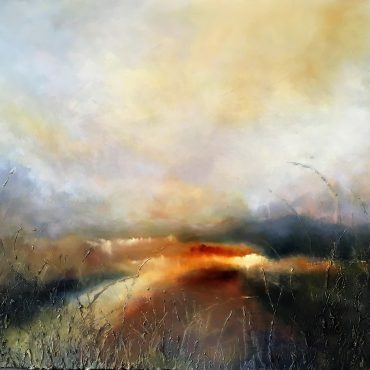 She has exhibited nationally and her work is held in many private collections across the UK. She currently paints full time in her studio located in Plymouth historic Royal William Yard. 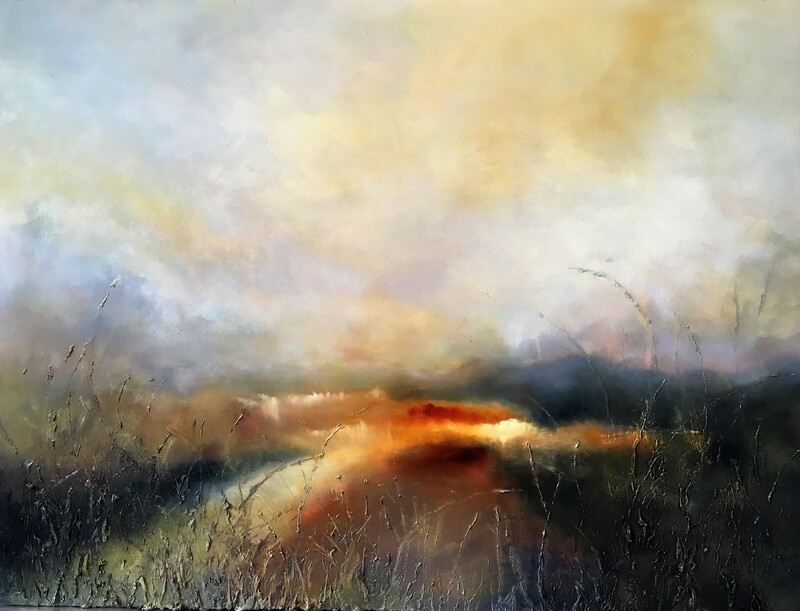 A sense of place has dominated Ellis’s work which conveys ethereal and surreal landscapes dominated by atmospheric skies. A process which combines intuitive marks which suggest composition and the painterly push and pull of perspective through colour and tone. Through this ritual the paint evolves into constructed landscapes which seem to exist outside of a specific history and offer ambivalent versions of our world. The paintings are ambiguous and without narrative inviting the viewer to bring their own understanding of the manipulated space, these are less about real places much more about the autobiographical landscapes we all inhabit.